Ever since I moved to the United States. I always wanted to bring my parents to this country. 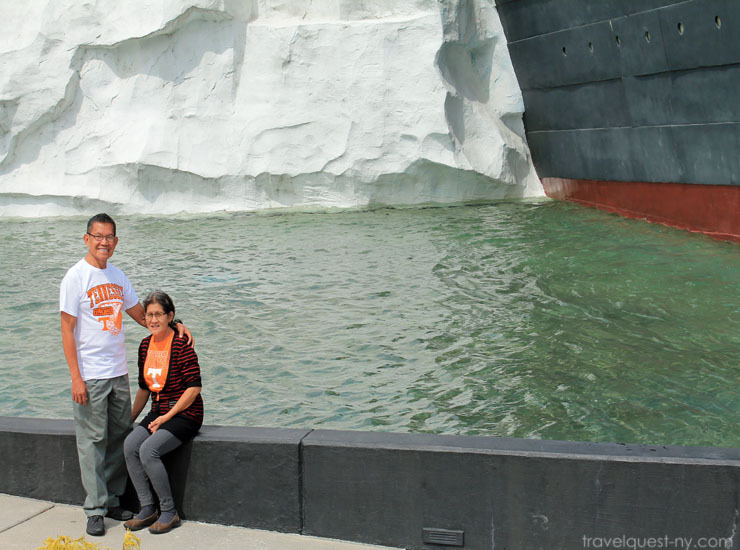 Imagine the feeling seeing your mom and dad enjoy like kids traveling in US and you overlooking them. Just like how they would, when you played in your childhood. Amazing feeling, isn’t it? Well I decided to bring my parents to US on a visitors visa. They've been here for almost two months now (Whew! time move so fast) and we all are having a blast! 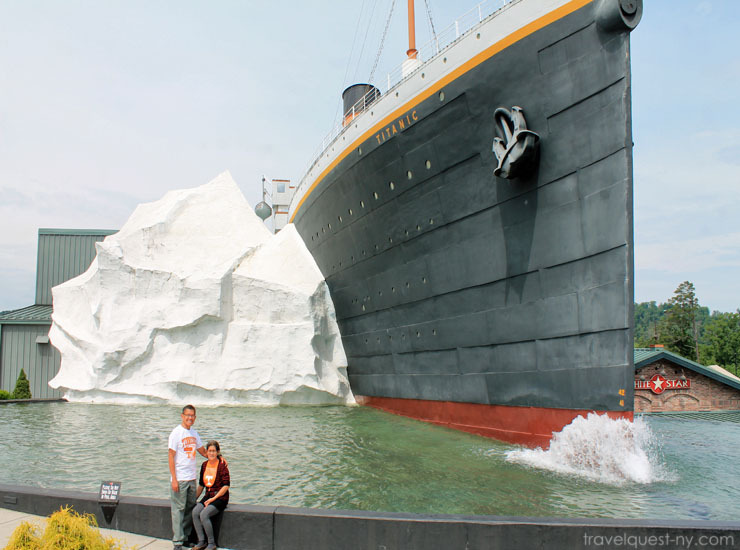 We took them one time at Titanic Museum Pigeon Forge. Fantastic place to visit and who knew the Titanic made it to Tennessee! Great artifacts and other things to see it makes for a good hour of fun. To immerse you in the titanic story you are given a boarding pass with a passengers name on it. Through the tour you are looking to see if you survived. Another cool part of the museum is that they have a small pool of water that is chilled to the same temperature as the ocean was where the Titanic sank that night, and you can put your hand in and time yourself to see how long you last before you take your hand out! It makes you really feel for the passengers bobbing around in that freezing water. Only complaint is that they do not allow you to take pictures inside that's the backdrop. The tickets are pricey at $20 per adult, but you can bundle them with other attractions like WonderWorks and Hatfield McCoy Dinner Show (which I highly recommend) and save $5-10 off. Groupon is also offers a discounted price. 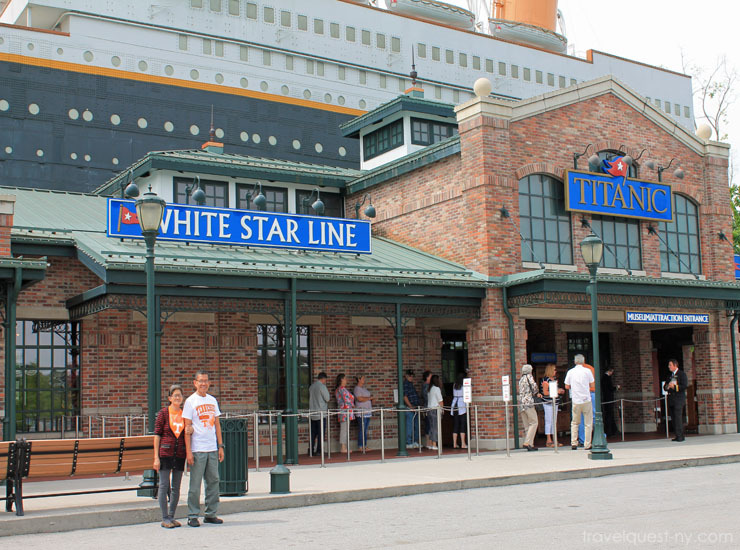 The Titanic Museum is located between lights 0 and 1 on the main Parkway in Pigeon Forge (2134 Pkwy Pigeon Forge, TN 37863) . The Museum is located next door to the Dinner Show Theater and WonderWorks. 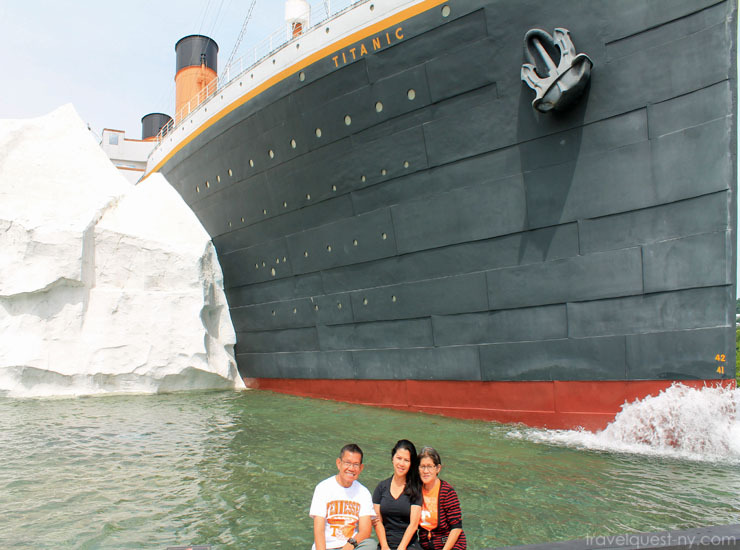 The Titanic Museum - a two story museum designed in the shaped of the RMS Titanic . 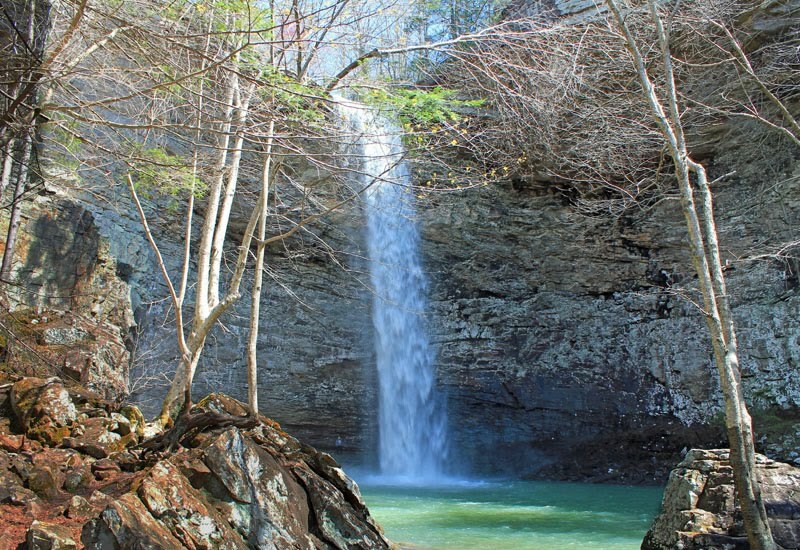 My parent's really enjoy the East Tennessee. Oh we loved the Titanic museum! 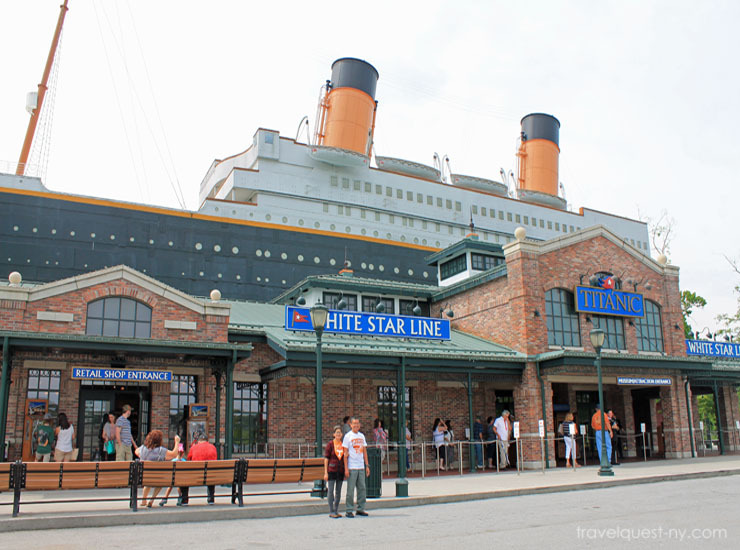 I had no idea that there was a Titanic Museum! Very cool that it's two-stories... what great space to showcase the history of the RMS Titanic. Glad to see that you had a great time with your parents. The Titanic Museum is amazing and it is amazing how much history they were able to recover. I love seeing all the different pictures of it before it set sail also. 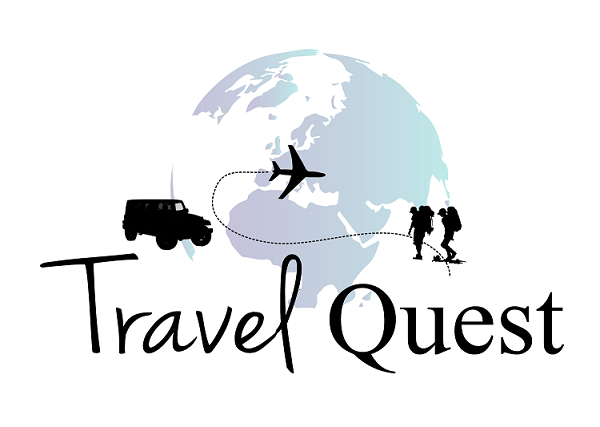 It is very impactful at the end when you find out if your passenger survived or not. I also love the staircase that is made to scale. Wow! This museum looks gigantic and from afar, almost the real thing. We visited the Titanic Museum in Singapore when they had it as a temporary location. It featured the items which were recovered and listed down all the names of people who were in it. It's nice to know more about its history as well as some facts that were untold in the movie. Oh man i had no idea this was even around. I have always enjoyed the Titanic history. So many incredible stories from that huge boat. I would love to visit this. Wow, this is new to me! I had no idea there was even a museum about the Titanic. I would love to take my kids here, we just watched that movie again the other day. Such an interesting story. Love your photo's!! I did not realize that the titanic made it to Tennessee either. I would really love to go to this museum to learn more about this legendary boat and the events that occurred around it. I have to get there some day. I had no idea that there was a Titanic museum. That's so cool. I think it's awesome that your parents were able to come over for a few months and enjoy the sites. Our kids recently watched Titanic for the first time and have been super curious about the disaster ever since. This museum would be a great way for them to learn more.